Reference app can turn your iOS device into a great informative tool that can be used to get quick information on almost all types of topics. You can view here top and best reference apps for your iPhone/iPad. We’ve selected some useful reference apps for iOS devices from the App store for this article. These apps will help you get useful information about daily life. Some of these apps are very useful and available free of cost on the App store. If you want to turn your device into a powerful informational device, this article would be useful for you. Okay now let’s see the list of useful reference apps for your iPhone, iPad and iPod touch. 1. WikiLinks (iPhone & iPad ) – WikiLinks is one of the best reference apps on the Appstore and it has very clean and nice user interface with lots of useful features. WikiLinks uses Wikipedia data and lets you access Wikipedia’s articles in beautiful style. One of the best Wikipedia apps on the app store and it comes with many features such as- offline browsing, beautiful themes, multi languages, bookmarking, browsing history, nearby Wikipedia articles, full screen image gallery with downloading option, powerful search, content formatting , YouTube video player, social sharing option and many other features. Recommended app for all iPhone & iPad users. 2. Dictionary.com Dictionary ( iPhone ) – Dictionary.com Dictionary is a great free app that helps you find meaning of any word in English. The app also works on offline mode so that you can access most of useful content without internet connection. One of the best reference apps on the app store and you can find here more than two million definitions, synonyms & antonyms which can turn your device into a powerful reference tool to find quick reference of any word or sentence. The app has many features including voice search, audio pronunciation , example sentences, word origin information with history, spelling suggestion tool and offline mode. Great app for iPad users that is available free of cost on the app store. 3. Wikipanion ( iPhone ) – Wikipanion is a useful free Wikipedia app for iPhone users that comes with some useful features which can help you browse Wikipedia content easily from iPhone. The app comes with beautiful design for easy navigation , powerful search tool, your browsing history by date, table based category, image gallery with downloading option, Wiktionary dictionary and many other features. Great app for iPhone users. 4. 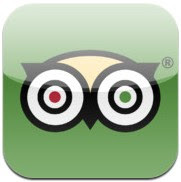 TripAdvisor ( iPhone & iPad ) – TripAdvisor is a great reference app for your trip. If you love travelling, you must have this useful reference app that can help you find millions of useful reviews of travelers for your favourite places. Great app that can be installed free of cost on your iPhone or iPad. With this app, you easily plan your trip, browse opinions, photos and videos of your favourite places, and find the best hotels, restaurants and airfares. Very useful reference app to find reviews and opinions of real travelers . You can also join TripAdvisor forum to get answer of your question. 5. Translator With Voice ( iPhone & iPad ) – Very useful app that can make you a perfect translator without any knowledge of international languages. Translator with voice supports many languages and can translate your sentences quickly. The app also speaks translated sentences with exact pronunciation which would be very useful in foreign countries. Great app for travelers. 6. WikiHow ( iPhone ) – WikiHow is one of the best reference websites on the web where millions of readers find useful “How To” articles. 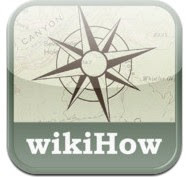 The iPhone app of Wikihow helps iPhone users access wikihow content in a beautiful style. The app has clean and easy user interface with some useful features which can help you browse more than 140000 “how to” articles. The app is integrated many useful features including bookmarking option to read articles later, photo viewer to view step by step photos and powerful search to find easily informative articles. 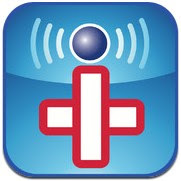 7. iTriage ( iPhone & iPad ) – Very useful reference app for health related issues. The app has many functions which can help you to find doctors, get answers of your health related questions, find nearest hospitals , medications, diseases, medical locations. Very useful app for all iOS users that can be downloaded free of cost from the app store. 8. 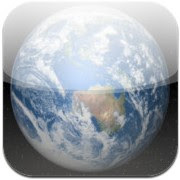 World Map 2016 ( iPhone ) – Very powerful app to view map of the world. 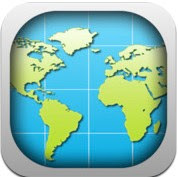 The app includes three world maps such as physical world map, political world map and time zone world map. You can also view map in offline mode. 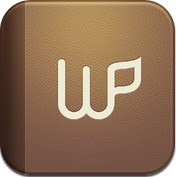 Great reference app for travelers , students and teachers.